Andrew Lee was diagnosed with a rare and incurable kidney cancer last year when he was just 19. 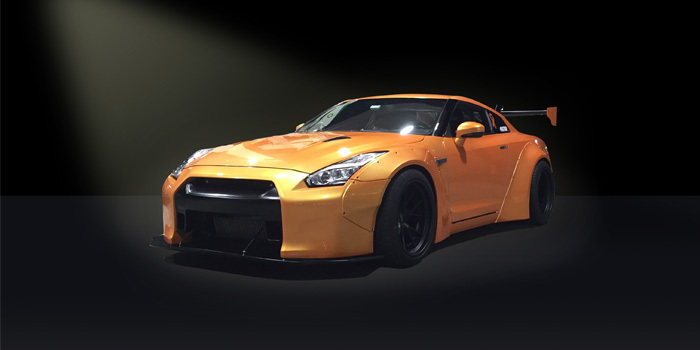 He is using his customized 2015 Nissan GT-R as a way to bring attention to kidney cancer and is unveiling the restyled car at the Ocean City Car and Truck Show this weekend. The vehicle is painted with Glasurit 90 Line in a custom APAC orange with a pearl effect and Glasurit 923-460 multi-purpose gloss clear. The custom work was done by Automotive Performance Aesthetic Centre (APAC) in Baltimore, Md. The custom engine work was done by David Baker from Baker Performance. The paint, suspension, wheels and body kit were completed by APAC. After his diagnosis, Lee started a 501(c)(3) nonprofit, Driven to Cure, to raise awareness and money for kidney cancer research. To date, Driven to Cure has raised about $80,000. To donate to Driven to Cure or for more information, visit www.driventocure.org.